A recent study by Yale (Read it here) explores the connection between learning and instability. The research demonstrates that new, unexpected and uncertain situations serve as a kind of “on-switch” for our brains and learning. AND that the opposite is just as true - that when we use so much of our energy and resources to mitigate instability and uncertainty from our lives this in facts shuts down learning and growth. We call it “liminality” - it’s moving from what you have known into what you have not yet known. It’s moving from where you have been into where you will be. It’s that in-between, up-in-the-air, experience of disorientation that we so often call “being outside my comfort zone” - and THAT’S where learning and growth happen. Each summer that is the context we are inviting our interns into. To live with a diverse group of other young adult Christians, to serve in contexts where the real needs and experiences of others get in your face and unsettle the world as your’ve always known it. And it’s difficult. It’s demanding. It will cause you to ask hard questions and pray difficult prayers. They’ll be days when you want to quit. AND it will change you forever. We still have some spots available on several of our intern teams across the country. If this kind of challenge and growth is something you sense God stirring in you - Check out our application and apply! Today we hear from one of our site directors from Elkhart, IN - Caleb Stanton. Enjoy! Caleb and his family - they’ve been in Elkhart for nine years, where Caleb is the program director for Lifeline Youth Ministries. Growing up in a Christian family and community it is easy to have a preconceived idea of what the word “Mission” means. All too often in the church today the term mission is reserved for those doing full time mission work outside the United States. Even knowing that Jesus calls us all to live a life on “Mission” is not enough for most Christians. It is easy to have the idea that you need to be crawling through a dense jungle with your Bible looking for an unreached tribe in South America. However truly experiencing that mission and being surrounded by those living with a missional mindset is what causes your mindset to change. This is exactly what happened to me my senior year of college when I did a yearlong missional internship with my church. Over the course of that year I learned that we are all on mission, we are all sent to those people in the daily places and spaces that we inhabit. But even better than learning this was experiencing it with a group of other believers. That internship experience helped to change my paradigm of missions and shape a more Biblical view that impacted the whole trajectory of my life. I graduated college with a degree in criminal justice and instead of pursuing police work like I previously planned to do; God placed a desire in my heart for social justice. Through this process God brought me to Lifeline in Elkhart, Indiana where we work with at risk youth. Lifeline has been embedded in the community for over 55 years. Lifeline strives to share the love of God through building long term relationships with the youth in the community. Most of the kids we deal with are lucky if they have one parent who is functioning well enough to invest positively in their child’s life. So by coming alongside the kids and parents alike we work to link arms with them as Jesus would. It is this missional mindset that has led to such a beautiful and seamless partnership with QuadW Missional Internship! Today I want to spotlight one of our main mission partners at our Dallas site. Our interns will join in on this mission of New Horizons. Be sure to check out their video below. 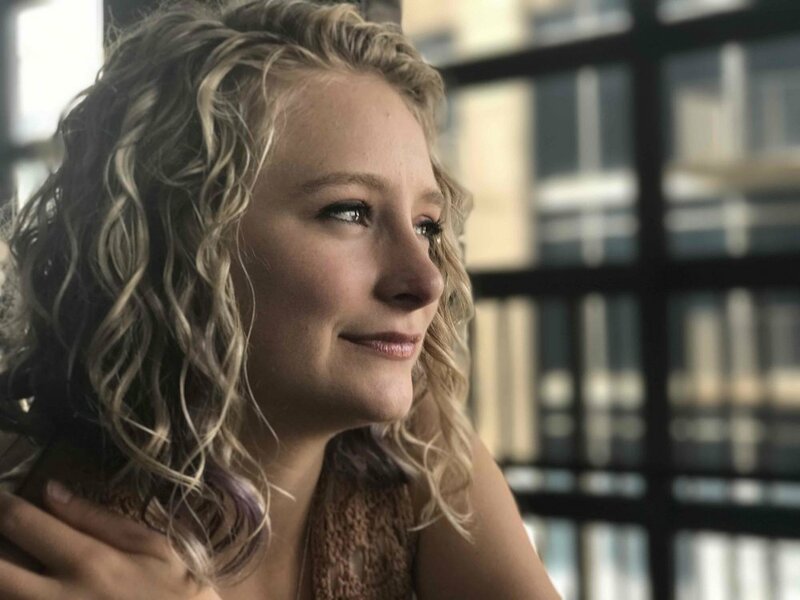 And I also want to introduce you to the amazing person who runs it… and who, along with Braxton Bush, will be working closely with our intern team this summer - Lacey Henderson. 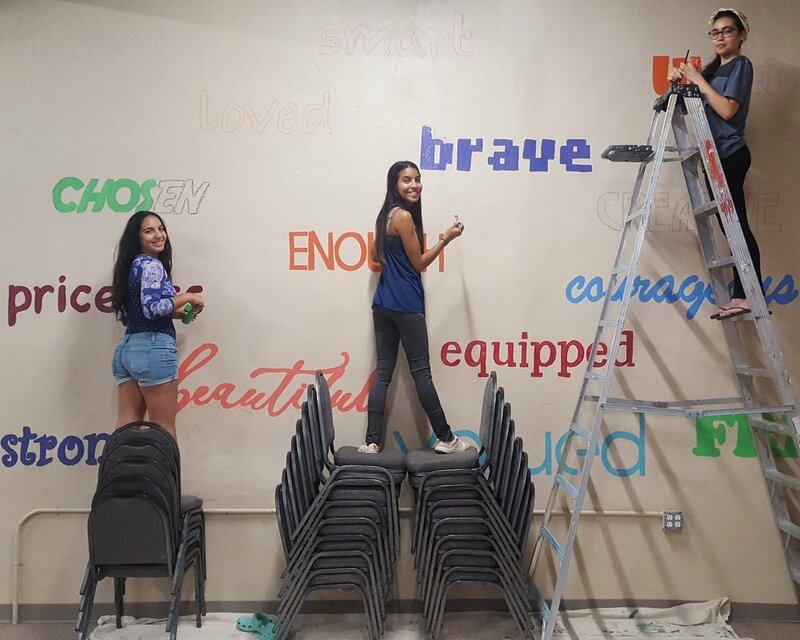 New Horizons of North Texas is a nonprofit ministry dedicated to helping at-risk children and teens growing up in environments of poverty, academic struggle, and hopelessness. As a result, we have set out to tell tell kids a different story – one of possibility and potential! We create highly relational environments and provide opportunities to live a different story. New Horizons serves the Dallas-Fort Worth Metroplex through no-cost programs, including after school and summer programs. She is the Program Director for New Horizons of North Texas. 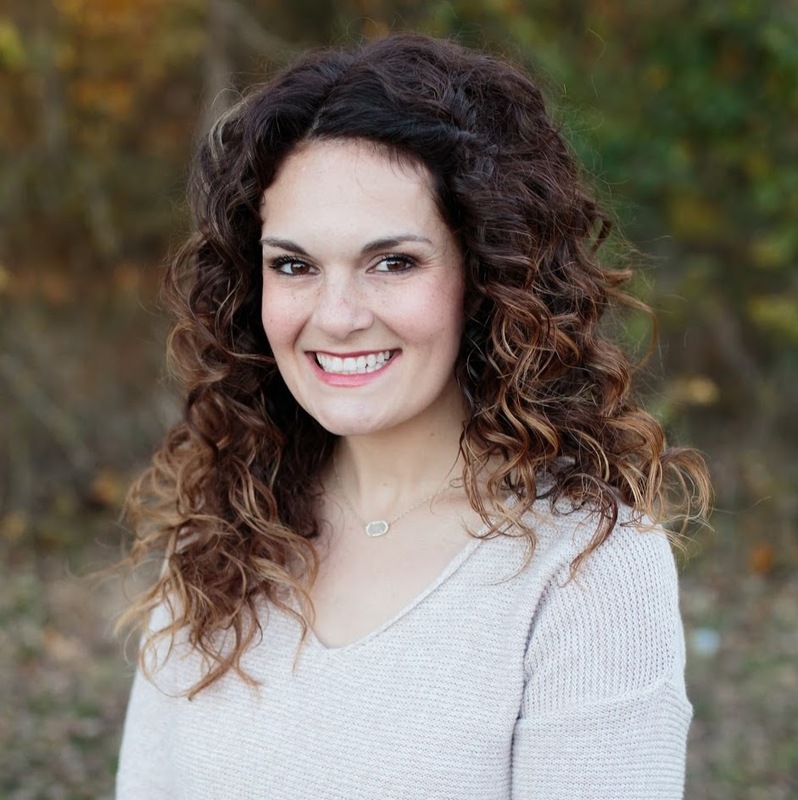 As a former high school English teacher and youth minister, Lacey is passionate about literacy and her faith in Christ. Lacey enjoys spending time with her high school sweetheart turned husband, Seth, and their three small children. She's a 6 on the Enneagram and would love to discuss your Enneagram number if you know it. When she's not busy doing program director or mom things, she's most likely connecting with someone over coffee, planning her next recipe/home project/family trip on Pinterest, or training for her next race. She loves kids and youth and feels honored to get the opportunity to ignite hope and purpose through education and faith. I want to talk with you about managing expectations, something I decided to write about when my wife, Tricia, was about 8 months pregnant. Now our firstborn daughter, Sophia, is sleeping beside me as I write. In a little while I will feed her myself for the first time as Tricia hopefully gets some well-deserved rest. Sophia is perfect. It is a word I rarely use, and one I will never hold over her head, subjective as my usage is. But for us, she is perfect. And I never could have expected this. Certainly not 9 years ago when we first started "trying" -- that cringe-inducing word I simply use to say we wanted a little one of our own a long, long time ago. We expected she'd be here much sooner. I eventually began to worry she never would be. Then when it was clear a baby was on the way, I began to worry some more. That she'd be a boy, for starters. Then when it was clear she was a girl, I began to worry about other things. That she'd come out looking like me, a man who has been physically compared to John C. Reilly by more than a few separate "friends". And like I said, now she is here and she is "perfect" for us in every single way. So there is some hypocrisy in my effort to talk about how to manage expectations, when I have managed my own expectations so poorly. I only hope I'm not alone in this regard. In fact, based on my experience living in the kinds of communities I described in my first post, I'm quite sure I'm not alone. We humans are very bad at managing our own expectations, at knowing what to expect, and handling them once reality takes a path diverging from all we expected. There is a chance your experience in short-term Christian community will be every bit as much a joyful surprise as Sophia is to us. More likely, you will have to navigate a substantial amount of disappointment as neither you or your companions live up to your idealistic expectations. Building community takes time, and I'm not convinced 8 weeks is enough time. In my first draft of this post, I attempted to walk readers through why this might be the case. I used some sociological tools like Tuckman's stages of group development. I talked about how all of the resources and materials on community basically come to the same point: that the first stages of community are like a honeymoon period that comes to a sudden, unwanted, and seemingly premature end as everyone realizes how much of a mess we all are. And then I went on and on in a way that might've risked alienating you from trying this in the first place. But then Sophia arrived and I remembered how much joy can come when we simply don't know what to expect. And so all I ask is for you to check your expectations at the door. Knowing what you don’t or can't yet know is an important step towards maturity. If you want to know exactly what will happen to you this summer, you should probably sign up for something safer and more predictable. I hope, instead, you'll sign up for and embrace the unknown. I hope that both the surprising joys and the unforeseen disappointments will shape you as you learn to respond to them in the way of Christ -- with grace, patience and all those Christlike character traits on one hand, and with conflict resolution and communication skills and all those interpersonal skills on the other hand. The trick is not to rid yourself of expectations completely. Who could do this? But to review each one of them wisely, prayerfully considering whether you really know what's going to happen. When I look back on my own track record, I realize two things. One, I know very little about what is going to happen, and this is coming from someone who spends a ton of time trying to figure it all out ahead of time. Second, almost all of the greatest things in my life were simply unforeseeable. This is true for both the joys and the hardships, and it's likely your summer and your experience in short-term Christian community will bring a little bit of both to your life. 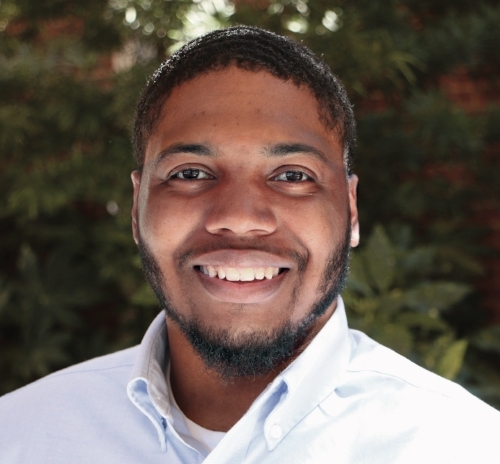 Intern Post - Lauren Center - "What the Gospel Says About the Pressure I Feel"
Growing up as a “good kid” who came from a “good” Christian family, I went to church regularly and was involved in my youth group. In spite of all these “good” things, I have felt a lot of pressure: pressure to be good enough in the eyes of my parents, youth pastors, and even God, pressure to not fail and to not disappoint those who trust me or look up to me, pressure to do the best and be the best. I could go on. And I’m sure I’m not the only kid who has felt this way. But the thing about pressure is that it almost always comes from ourselves. It’s true that parents and siblings and friends and employers can pressure us. But nine times out of ten, I put the burden on my own back. I set up impossible standards, and then feel anxious about not reaching them. I pressure myself to be one thing, then run myself ragged trying to be it. But you know who never puts pressure on us? Our loving Father. The pressure I put on myself says I have to be more of this or that or you name it to be loved. Jesus says come as you are, I love you anyway. Pressure says I’m not enough. Jesus says you’re enough for me to die for you. Jesus says stop trying and rest. Pressure weighs heavy on a tired soul. Jesus says His burden is light. When we don’t rest in the Lord’s strength and grace, pressure poisons our hearts and our ministry. Last summer, I interned at a Christian camp in inner city Mobile. One day, about halfway through the summer, one of my fellow interns got sick, so I was put in charge of a group of girls who didn’t know me at all. These girls didn’t listen, didn’t like me, and didn’t want to be at camp that week. I attempted to teach these girls the Bible study, but they kept telling a story about a fight one of them got in and they just wouldn’t obey anything I said. I tried to gain control of the group, but it was not happening. Then they told me they couldn’t wait for their other teacher to come back to camp. At that, I broke. I felt like a failure. I had been depending on my own strength and had put a lot of pressure on myself to do a good job and when I couldn’t teach the Bible study and the kids didn’t like me, I crumpled under the unmet expectations I put on myself. In my pride, I forgot how much I needed the Lord’s help and tried to be self-sufficient. When I couldn’t do it on my own, it was a humbling reminder that I am not capable of doing any of this on my own. It’s a funny thing, the process of being humbled. It is terribly necessary and in some ways, refreshing, but it feels awful in the moment. It feels like everything you thought you knew about yourself is falling through. It feels like your hope is shaking a little bit—because you’ve put your hope in yourself instead of the one unshakable Hope. It feels embarrassing. But it is also so freeing. No longer am I relying on myself for my own confidence and strength because I can now humbly see that I am not all capable of providing those things for myself. No longer do I think I can earn God’s love, because I realize I am a dirty sinner who desperately needs grace. No longer do I think God needs me, because I begin to remember that I am the way I am because of how the Lord has made me and grown me. It has nothing to do with what I’ve done. Humility frees you up to love other people too, because it destroys the pride that tells you you’re better than other people. Without humility, it’s impossible to realize just how good God is and to love others authentically. Pressure cannot coexist with genuine humility. When your pride has been knocked down by the overwhelming grace of God, you see you can’t bear the weight of this pressure. Humility tells you that you cannot do all these things you’ve been trying to do on your own, but that Jesus made you to depend on him to do what you cannot. Being humbled rips those burdens of pressure right off your back, and it’s painful. I got used to the heavy burdens of pressure. I didn’t really mind them – I put them there. I could see and feel and control these burdens when they were on my back. But we will always fail under that pressure because we were not created to live with it. In conclusion, I am declaring that this pressure is overrated. It’s false and unnecessary. It’s rooted in pride. When we see kids in youth ministry who feel this pressure to perform, let’s remind them that they were not made to do life on their own. In humility and faith, may we cast all our burdens and anxieties upon Him, instead of pridefully trying to handle our own burdens and putting a pressure on ourselves that we were not made to bear. We are so excited for the internship to be in a new place - in San Diego, partnering with some those who are already deeply engaged in God’s mission + ministry along the border. Rev. Melissa Spence will be our site director, leading our interns there in San Diego. We’d love for you to know a little bit more about her. Melissa serves as the Pastor of Justice and Compassion at First United Methodist Church of San Diego. She oversees all of the local and global mission ministries and all of the congregational care ministries. She discerned a calling to a ministry of compassion when she became a Stephen Minister during her sophomore year in college, but it was many years later that she felt called to ordained ministry as a Deacon. As a child of the Air Force and a wife of the Navy, she has lived and traveled all over the world, experiencing many different cultures and religions. She and her husband Dennis have two daughters, Mackenzie (19) and Kaitlyn (17), two dogs, two cats, and two chickens (they're thinking of building an ark but it rarely rains in San Diego). She's lived in San Diego for a little over 10 years, but considers Austin, TX home and will eventually move back when Dennis retires from the Navy. Melissa received a BA in Psychology from the University of Texas at Austin, a Master of Divinity from Claremont School of Theology, and a Master of Social Work from San Diego State University. In her free time she loves to read, bake, and spend time outdoors. She's also an avid traveler and loves exploring new places. So You Wanna Live In Christian Community? Over the next several weeks we’ll be sharing a series of posts aimed at preparing people for the experience of living in Christian Community and how to get the most out of this life changing opportunity! Enjoy … and share with a friend! When you accept your offer to join the QuadW team, part of what you're agreeing to do is to live in short-term intentional community. But increasingly these days, almost none of us have any practical experience whatsoever living in any kind of community, much less one aspiring to demonstrate relationally the kind of life Jesus lived and preached. But don't get me wrong. Inexperience itself is not the problem. In fact, one of the joys of hosting these internships is the opportunity to welcome young adults into new experiences each year. We want those experiences to be both challenging and ultimately rewarding. But how rewarding your summer becomes is largely up to you and significantly about how well you participate in Christian community with your fellow interns. I have lived in an intentional Christian community for the past 7 years, which -- if you take away the time I've spent sleeping, out of town, or hiding -- means I've long since past the 10,000 hour mark the generally means expertise in a given field. I wish I were an expert in community, but I know less than I did when I started. The only true expertise I've gained is about how messed up I am, and that I'm not alone in this regard -- for better and worse. So I'm not looking to make you an expert in Christian community either. It's true there are lots of good books about Christian community out there, and all the good ones eventually say the same thing which is that community is "messy". And this is one of those words that doesn't quite hit home until you are in the mess, or perhaps the cause of it. Either way, the point is the mess cannot be avoided unless you want to use another word besides "community". 2018 QuadW KC Team… And Chris. If this sounds like bad news, let me make it a little bit worse. In your case, we're not simply talking about Christian community, but about short-term Christian community. And while I've read a few of those books about Christian community, I can't remember reading anything about a Christian community meant to pretty much entirely end after 8 short, fast weeks. I think what I'm trying to say is that you've signed up for something difficult and rare, and that I'm not sure any of us knows that much about it. So is there good news? Can we live well in and through the mess of community, even short-term community, and come out the other side with something beautiful and important and meaningful to show for it? Well, I wouldn't be writing this, much less living it out each summer, if I didn't think so. Even better, I've seen some young adults -- no better or brighter or anymore Christian than you -- pull it off quite nicely, in my inexpert opinion. So I'd like to share a few ideas and observations about how you too can be as prepared as possible. By Josh Shepherd, QuadW Kansas City Site Director. Josh & Trish just welcomed their new little girl, Sophia, into the world this last week! For the last 10 summers we’ve been inviting young adults to get their hands on God’s mission in particular communities. And we’ve learned so much and seen so much. So much to celebrate - God’s goodness and mercy and life seen in the lives of our interns, in the lives of those we serve among, in the lives of our site directors and leaders! And so we gathered in September, like we always do, to give thanks to God as we look back on the summer. And then, to look forward. To ask questions about how we can be more faithful? How can we invite even more college-age young adults into this experience? How can we better walk with our interns through out the 8 weeks? What about when the 8 weeks are over? We ate BBQ, too! Because… Kansas City!! In some ways we’ve accumulated a good bit of know-how over these 10 years. And yet each fall we want to put everything back on the table and listen - listen to how God is directing us through the stories of our summer. We’re so grateful for the chance to do what we do. To join God in more than 10 communities across the US, serving where service is needed most and helping churches to build bridges (back) into their communities. So please, pray for us as we join God in this work… AND pray for those who will be called to serve as QuadW Missional Interns this coming summer! Throughout this summer I have known a God who not only loves me, but who seeks me constantly and calls me to be more like Him every day. When we understand that God calls us to be more and more like Him we can also understand that our duty is to go out to meet those who need us. Just as that father waited to meet his prodigal son and ran to embrace and receive him once he returned, in that same way we must run with joy, enthusiasm and commitment to those who have been living far away from God’s love. This experience has taught me the magnitude of God's grace and mercy; grace and mercy that loves me every day and chooses me as His instrument to reach the needy, the marginalized, the poor and the rejected. These eight weeks have taught me that this mission is not just QuadW's desire, but that it is based on God's desire for his children. God definitely wants his children to return home and I firmly believe that we are a key piece in God’s mission. Our work in the world is vital for the Kingdom of heaven to become real on earth. "I look upon the whole world as my parish" (John Wesley). We must understand, without a doubt, that the most beautiful place to worship, preach, pray and serve given to us has been this world in which we live. This has been confirmed to me as I see the smiles of the children at City Light Ministry every time we say "Good morning," and has been evident to me as I am challenged with their questions regarding who God is and how they can get to know Him more. I have witnessed the need by seeing the cry of women in desperation striving to get out of their difficult situations while they seek for a greater meaning to life. I have understood that my work as a young Christian cannot remain locked in four walls or in a structure called “church” but rather, my work must be really shown with the people who so desperately need that encounter with the Father. Today, I can confidently say that I understand my call. I have been called to be those hands that forgive, love, comfort, heal and serve. I have been called to look more and more like my father and to serve without limits. Thanks to this internship my passion for missions has grown greatly. I know that everything I have is thanks to God and therefore, I want to use it only for him. I firmly believe that I’ll be able to use all my passions and knowledge to serve the Lord, for it was Him who loved me first and chose me before I chose Him. I have been blessed to be part of this internship that has not only helped us to continue our studies, but has also taught and encouraged us to serve God in our professional fields. I am determined to make a difference in the field of medicine, to put my profession as a pharmacist in God’s hands and to serve all those who are in need. "If God is compassionate, then certainly those who love God should be compassionate as well" (Henri JM Nouwen, Return of the Prodigal Son). Without a doubt, QuadW is raising a generation of future professionals willing to work for the mission of God and be compassionate, just as our father is compassionate. Whenever we can hear from our interns, that's the BEST! Giving them a transformative encounter with God's mission is our primary reason for existing. The following comes from two of our QuadW Kansas City interns. Check out their mid-summer reflection on what this experience is opening up in them so far... they're real good! What is the summer teaching you about yourself and who you’re called to be? We confidently sat down to write but quickly realized that our allotted three sentences would be far too few and that, perhaps, one question could not be answered without the others. How do I fit into God’s vision and mission? During the first week, it quickly dawned on me that the QuadW internship is perfectly designed to take the world you thought you knew and turn it completely upside down. I applied for this internship wanting to stretch the limits of my comfort zone and embrace the unknown. I hoped that by the end of the summer I’d have this whole faith thing figured out. And while I learn every day to find comfort in the mystery and push the boundaries with myself a little bit, I’m unsure if I am any closer to figuring out all that God is. Four weeks in and I’m just now learning to lean into it. To simplify it, I’m mostly learning about the real definition of community and mission. This means loving my neighbor requires openness-sharing the damaged parts of my heart. And the Bible empowers us to love as Jesus did, who humbled himself by “being made in human likeness” (Philippians 2:7b). His example shows me that the greatest way I can love others is to admit that brokenness is the truest form of the human experience. Practicing vulnerability in this community reminds me that even when it seems hard, I’m not the only one broken here. I also think in the past I learned to let this fear of vulnerability and awkward encounters deter me from the call to love others, and in turn I became complacent in my comfort zone. I’m now learning that I can’t just wish for opportunities of mission to come to me; I am a missionary. This means if I want to love my neighbor as the Lord sent me, then I cannot wait for them to venture out and knock on my door. Instead, I need to joyfully and intentionally travel this neighborhood we call the world and be the opportunity knocking on the front door of my neighbors. If I operate under the assumption that God meets us where we are, at whatever point in our journeys, then aren’t I, too, called to meet others in this same way? Our discussion of the Resurrection initially inspired the thought process which led me to this basic conclusion: our mission is not working to get to some mystical, fantasy after-life, but rather make Earth look a little bit more like Heaven. In the Presence of God. Right now. So how does this apply to God’s mission in my life? It means I still have work to do loving the people of this Earth, whoever it is and wherever I am. And it’s not something I feel like I should do. It is a strong conviction-something I must do. And I am not finished. My understanding of heaven, of God’s dwelling place, of the Kingdom of God, of God’s vision is being completely redefined. Like many, I grew up imagining heaven as a golden-gated neighborhood in the clouds where the spirits of believers would go when death separated them from their earthly bodies. After considering the writings of authors like NT Wright and studying scriptural references to heaven, my understanding of heaven is now closer to home; I believe heaven is not a far-away dreamland but a perfect reinvention of earth where our bodies will be resurrected to live in complete harmony with God. This summer is transforming my vision of God from one who is simply observing and waiting in the sky to a God who is actively seeking, creating, and reforming God’s perfect creation. With this new understanding of God, my identity and purpose is likewise being reinvented. I used to believe that missionaries only operated in far-away lands and was terrified to accept a call to missionary ministry. Now, I’m learning that being sent by God is about a lifestyle choice, not a location change. I can still teach classes and serve on committees, but to truly live as Christ, my identity must be that of a missionary, sent by God to make earth a little more like heaven with love. 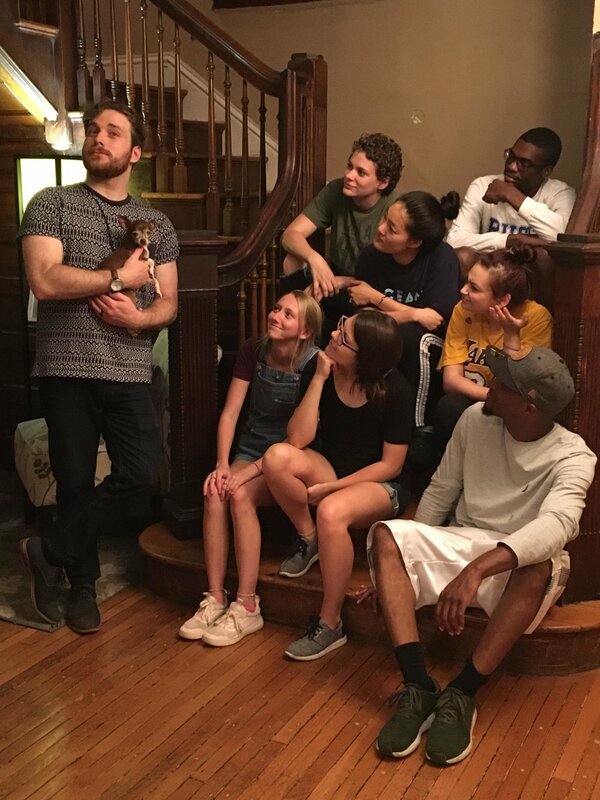 QuadW Missional Outreach receives $100,000 Young Clergy Initiative Grant for Skunkworks Project. QuadW Missional Outreach is pleased to announce receipt of a $100,000 grant from the United Methodist Church’s General Board of Higher Education and Ministry. This grant will support the launch of the “QuadW Missional Residencies – A United Methodist Skunkworks” project. "Skunkworks" exist for the development of breakthrough innovations. Young adults chosen for this one-year United Methodist Skunkworks project will live and work together, receive extensive training and support, and will develop and lead new disciple-making movements. QuadW Missional Outreach is grateful for this generous award and excited to work with partnering churches and conferences, as well as United Methodist seminaries and colleges to launch these new efforts. Dallas, Winfield/Wichita, Montgomery, and Columbus (OH) are the projected sites to be launched in 2019 and 2020. QuadW Missional Outreach receives its primary funding from the QuadW Foundation of Dallas, Texas. This foundation exists to honor the life of Willie Tichenor, who died of osteosarcoma at the age of nineteen. 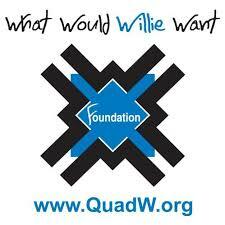 The work of the Foundation is guided by the question, What Would Willie Want? To learn more about the Foundation’s work, including its support of sarcoma research, please visit www.quadw.org. To learn more about the work of QuadW Missional Outreach please visit www.quadwmi.org or contact Don Woolley at don@quadwmi.org. Here Cara Golden shares a bit about the journey of faith that led her to QuadW mi and some of how she's anticipating God's ongoing work in her life. Check it out! Like most, I started off having no clue what I was supposed to do with my life. I have loved the ocean since I was ten years old and loved science, particularly anything having to do with marine life and their delicate habitats. So, I settled on Marine Biology at first. I was going to “save the dolphins” and scuba dive and do lots of beneficial research. That was the goal when I started out at Auburn… seven years ago. It didn’t take long, however, for me to realize the emptiness of that aspiration. From nearly the beginning of starting down this path, I failed many of the classes I took, slipped like a fish into depression, and stayed there for a while. But in this darkness God was forcing me to ask myself hard questions: At my core, who am I? What is the deepest desire of my heart? How can I satisfy that desire? Rock bottom was where I came to terms with the breathtaking grace that is my answer to those questions, that is my calling, and that was my calling all along. At my core, I am a child of God, indebted to His Son Jesus, empowered by the Holy Spirit. The deepest desire of my heart is to bring other people into this same awakening, to serve them and to proclaim to them what great love I have been shown, and to see them experience the same. Different people discover their calling in different ways, and it took me a long time to realize that is okay. After all, there was nothing wrong with my first dream—except that it wasn’t my dream. It wasn’t what I was meant to do. The only way that makes sense for me right now in fulfilling the deepest desire of my heart is becoming a missionary and serving among the native and indigenous people groups of our world. As a Christian and as a person who has a deep respect and admiration for culture, I have a passion to represent the Gospel in a way that maintains their rich cultural history, that it might be thus more impactful and relevant. For me, there is no better place to serve than among those from whom we have so much to learn. This summer with QuadWmi at Riverton will be my first opportunity to really begin to live into this mission. I am eager to learn in a practical way some of the intricacies of serving among native peoples, such as the protocols of service and the challenges that they face. Further, I look forward to learning of the unique cultures of the Shoshone and Arapaho tribes, discovering the exclusive opportunities and challenges the Christian missionary faces in relationships with native groups, and building foundational relationships with their people. All in all, I eagerly anticipate this summer as one that will ignite this next stage of my journey and burn in me an even deeper passion for native and indigenous peoples. 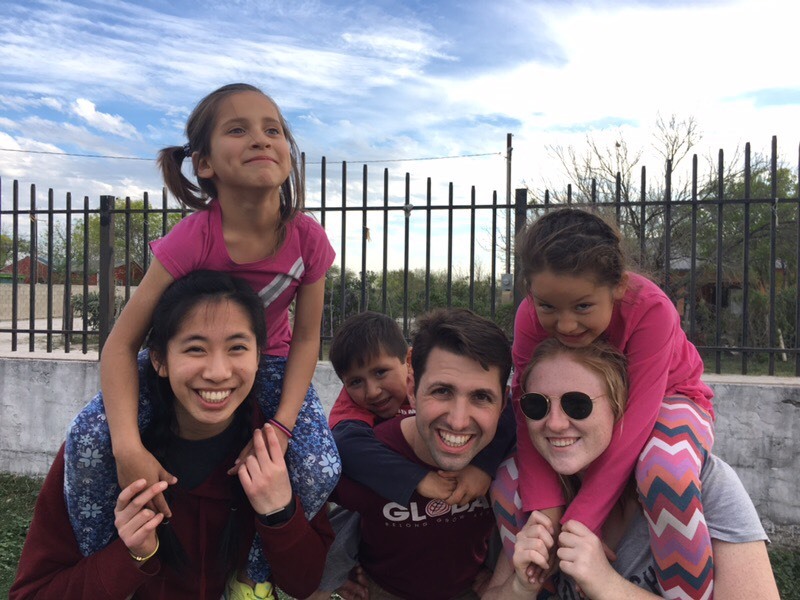 While plans are being made at our 12 sites across the country for a summer of deep missional engagement and real Christian community our Columbus, OH leadership gathered up a group of former and future QuadW Interns to serve in Mexico over spring break. 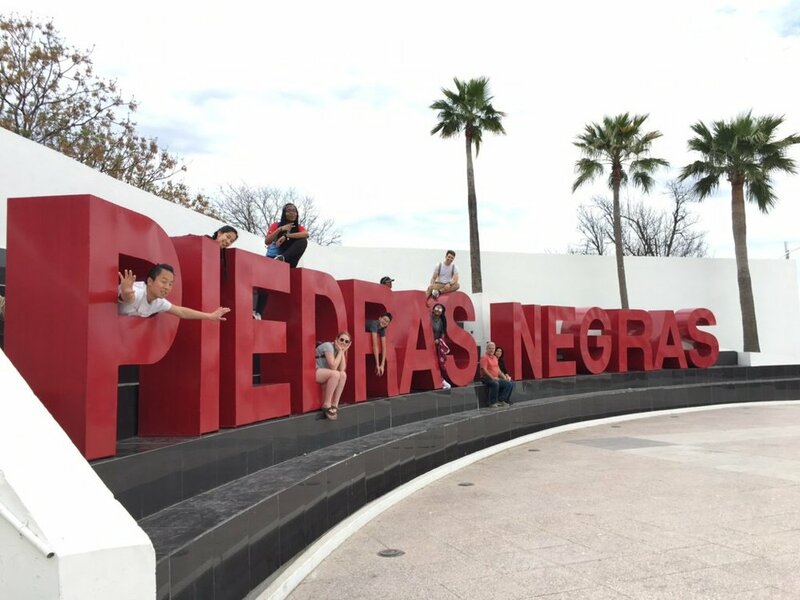 During spring break for The Ohio State University (3/11/18 - 3/18/18), a crew of former Quad W interns from Global Community Church, along with new college students and youth, journeyed together to the Texas/Mexico border to see how God is moving in the area. The team hopped in the church van and drove 21 hours from Columbus, OH to Piedras Negras, Mexico. Some of the most memorable times were spent at the local park, where the team played flag football with the youth. They were excited to meet our team made of those from Korean, Nigerian, Congolese, and American backgrounds. It was inspiring to see God move through our fellowship time together in which we shared the good news and times of laughter and competition with them. As a whole, during times of passionate prayer with local believers, playing sports with the local community, and powerful street outreach, the team sensed that God is moving with the local church, and that He has tremendous plans for the nation of Mexico! 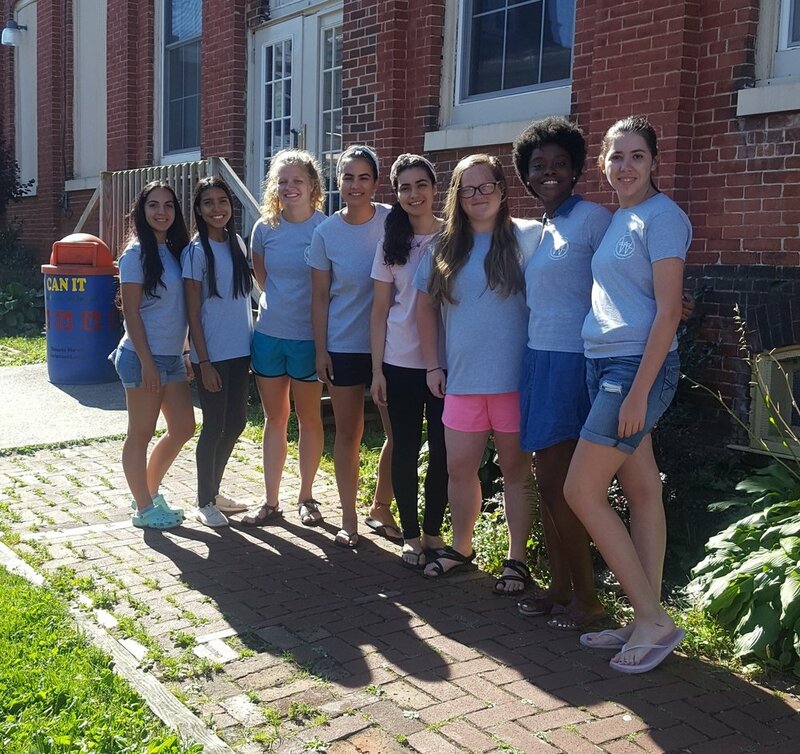 QuadW summer of 2017 - What an experience! Some days I wanted to throw in the towel and take my happy self right on back home. Other days were so full of joy and love for what I was doing I didn't want to leave. This past summer opened my eyes to the Pharisee that was within me. I would always invite others to church and tell them out much I loved being in the house of God, but I never brought the Gospel straight to them. I was wanting them to come and meet me where I was at, sitting in the front row where I was comfortable. I did not think to come out of my comfort zone to embrace them right where they were at or to step into their comfort zone and sacrifice my own desires to love like Jesus loves. God pulled me out of my comfy church pew and led me into a place of experiencing and witnessing the hurt others were going through. I already knew that Jesus had placed a soft spot for the broken in my heart. He has placed a desire and passion inside my soul to reach out and serve in the places that may not always be easy or convenient at the time. To love on orphans and help bring people who feel like they are too little, too broken or feel as if they have made too many mistakes in to a place where they know they are more than enough, healed through Jesus and to know that their past or performance does not define them, but the love that Jesus demonstrated on the cross is what defines them. When I pray about being the tangible demonstration of the love of God, I reflect back to my summer with QuadW every time. The church is not a building but a body of believers who go out and are the hands and feet of Jesus. A church without walls. Loving the unlovable and bringing hope to the hopeless. I am forever grateful for the opportunity QuadW gave me and the lessons I've carried in my heart since. QuadW Missional Internship gave me a hands-on opportunity at a key developmental moment in my life. I had been serving as a campus minister through the Ole Miss Wesley Foundation, when Jean Tippitt offered our students and me the opportunity to serve communities in Mobile, AL. I remember meeting Don Woolley (National Director of QuadW mi) and others who were all-in on reaching the unreached and serving the vulnerable in Mobile, Whistler and Pritchard. This was a defining moment for me because I was just accepted to attend Asbury Theological Seminary where Don is an alumnus and Jean was completing her coursework. From the QuadW mi experience, I knew that I would be serving young people and the refugee community. From that summer of building relationships there are several young people from Whistler, outside of Mobile, with whom I am still FaceBook friends and check up on from time to time. I knew serving others would be a core component of the internship, but I did NOT expect to be taught about Christology, missiology and ecclesiology—subjects that would later become very important for me in seminary. I will never forget that Christology (who Jesus is, what we believe about Jesus) should give us our missiology (our sense of what God's mission - therefore, our mission! ), and the mission of God should determine what the Church looks like (our ecclesiology). All these years later, I still try to keep that principle in the forefront of my mind, when I am serving the world. I think that QuadW mi helped me to unearth some things that I did not know were there within me. I am proud to be a QuadW mi alumnus! Rocky Shack is currently in his last year of a Master of Divinity at Asbury Seminary and serving as the Young Adults and Community Minister at Christ United Methodist Church in Jackson, MS.
Amanda Kitz shows off a mural the interns painted! She just graduated from George Fox University with a degree in elementary education and Christian ministries. She served the past two summers in Portland. We're so grateful for her... and God's work in and through her! When I first heard about the QuadW Missional Internship, I Google-searched the key words ‘education’, ‘ministry’, ‘internship’, and ‘Portland, OR’. At the time, it seemed a little desperate. I wanted to have a meaningful experience and be engaged in ministry, but I mostly wanted a place to be for the summer that wasn’t my parents’ house. I’m sure I’m not the only one. I put in my application and interviewed for the Portland site and soon I was on a train, never having been to a Methodist church, never having been to Gresham, and never having met in person anyone I was about to be working with for the next 8 weeks. During those first couple weeks, I realized that whatever I was running from was not nearly as pressing as what I was running toward. I started to lean into community in ways I hadn’t before. I came from a church background where I was told I didn’t belong and that God was disappointed in me, and in Gresham UMC I found a community of people with open arms and open hearts who drew me nearer to the heart of God and the body of Christ. I began the internship afraid of engaging with the other interns, but, when I was brave enough to open up, I found deep wells of friendship and we still keep in touch. Our Spiritual Reflection Fridays with Jessie and Garrett helped us explore the beautiful Northwest as well as our own spirituality. My 4th and 5th graders in the summer school, the kiddos I taught to paint at the art and reading program, the lovely folks from the church who hosted us for meals, working with our friends living outside in Portland, random adventures in Portland with the interns and so many other things we did showed me the fingerprints of God on this city. I started out looking for something, anything to do for the summer and ended up tripping and falling into the abundance of God in the rich experience of working with these folks for the summer. So, naturally, I came back. I was asked to come back as an RA and to work on the summer school curriculum, and getting to be a part of the lives of not only another group of kids at the summer school but also a new group of interns was an honor and a challenge and a pleasure. LaVerne and Steve were so good to me as we prepared for the interns to arrive, and when everyone was finally here, we embarked on an adventure all our own with new personalities, joys and struggles. We planted tomatoes in a community garden, we wrestled with our own faiths, we painted murals, we jammed on drums and ukuleles, we hiked out to waterfalls and we taught children the reading and math skills they need to succeed in school. We learned our limits and we learned our strength. To me, this is what this internship is about. It’s about the struggle. It’s about looking inside yourself but it’s also about leaning into community. It’s about being brave. It’s about “paying attention and being intentional”. It’s about running toward something and tripping and falling into the reality that God is “beholding you and smiling”. It’s about laughing and crying and being ‘with’. It’s about feeding the hungry, giving drink to the thirsty, and bringing the peace and justice that is the Shalom of God through even something as simple as multiplication facts cards or making burritos. It’s about leaning in. And I am so glad I did.